We all know, and if you do not know or remember, for that I am, that because of the integrals is to, in principle, calculate the area supported by a function in two dimensions. And that, thanks to integrals, we have the fundamental theorem of calculus. A double integral is a case similar to the previous one and is that, in the world in which we live, we can calculate the “area” (which in this case is a volume) under a surface of two dimensions. 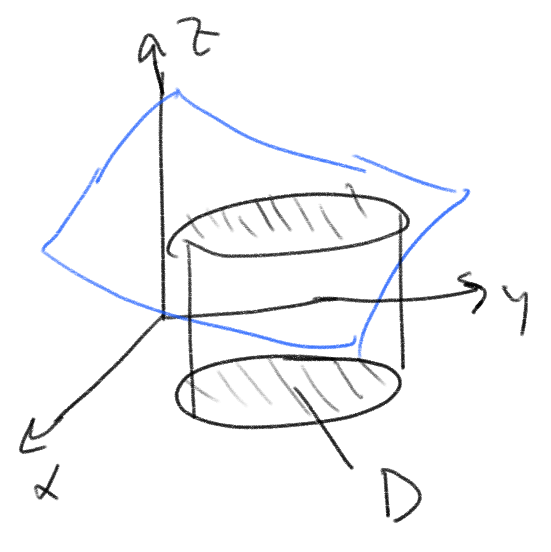 That is, a double integral is used to calculate the existing three-dimensional volume bounded by a surface. Simple. If in a life-long integral, we call domain the zone we are integrating in, that is, if we have a function f (x), the domain is the boundaries of the integral, that is, the values where x = ayx = b . In the case of a double integral, the domain of integration is a surface, a (closed) curve and what gives us the integral is the volume of that surface with respect to another. In the concept of a double integral, we do exactly the same thing as a simple integral and if we did infinitesimal parts of which we calculated the area and its sum (Rienman sum) was the value of the integral, in the double integral we do Same but with infinitesimal square “areas” of infinitesimal width and height to, with these, known the base and the height, to calculate the volume. If we add all these infinitesimal volumes by making a sum of Rienman, we obtain the total volume. Very simple to understand. Where P is a partition that is nothing more than the rectangles in which we have divided D and satisfies that any partition (since we can choose the partition we want) is less than delta for any choice of points we take. All of this that sounds very complicated is quite simple and tells us that the integral will be the sum of the volumes and that we can approximate the integral to the sum of Rienman as much as we want the more bits (partitions) we make (hence the difference between the Integral and the sum of Rienman we can make it smaller than any number). The only thing to take into account, when we do a double integral is that dA = dxdy or that, rather and depending on how we take the area (as we are interested) we must see that the area taken does not have to be base by height but Which may be other better terms depending on the function. Sometimes what is done, if the D domain is not rectangular, is to take a larger, rectangular (R) domain indicating that outside the domain D f (x, y) is 0. Let what goes out of D And belongs to R is worth 0, not contributing, in the integral for nothing.